As one of the first German business schools, as early as 2013, Munich Business School has declared their support for the Principles for Responsible Management Education (PRME). The goal of this initiative, founded by the United Nations, is to anchor sustainable personality development at business schools across the globe – based on the UN’s Sustainable Development Goals. The members of the initiative regularly reveal their advances in public. And so they provide a joint “learning community“ for universities throughout the entire world. In their latest SIP report (Sharing Information on Progress), Munich Business School reveals their diverse activities in this field. 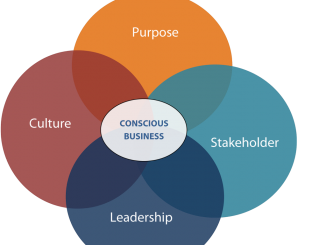 MBS Professor Dr. Christian Schmidkonz illustrated in a blog article why the future must belong to “Conscious Business“ – entrepreneurship for the benefit of “people, planet, and profit“. MBS Professor and social entrepreneurship expert Dr. Barbara Scheck had a critical look at this subject in a similar manner. And in fact: Above all since the global financial crisis of 2007, the demand for social and responsible entrepreneurship has received even stronger attention in public awareness. Numerous violations of ethics and morals by corporations, for example the dieselgate affair concerning Volkswagen and other automobile manufacturers or the latest sexism scandal in the innovation forges of Silicon Valley show: It is about time for companies to change towards social and responsible behavior. For a long time, it was sufficient for companies to “prove“ their corporate social responsibilitiy through more or less intrinsically motivated activities. The credibility of this demeanor, often conducted purely as “greenwashing“ – entirely in the spirit of the much quoted PR credo “Do good and talk about it“ – is however increasingly fading away. In his thesis, MBS Bachelor alumnus Ahmad Khudir dealt with the question of how CSR influences customer purchasing decisions: 21st century consumers are enlightened and well-informed, amongst others by the exchange in social media and the high degree of media transparency. They place value on ethically correct behavior by corporations whose products and services they purchase. After all, businesses today are viewed as important participants in societal life, which is also expressed in the concept of “Corporate Citizenship“, of corporations as citizens. This requires new thinking for corporations and new management models. Modern entrepreneurs have recognized and understood this development. They establish so-called “social businesses“, businesses striving to solve social and/or ecological problems to an equal extent as achieving a commercial profit. One example is the company Fairphone, which manufactures mobile phones under fair labor and environmental conditions and uses raw materials traded in a fair and conflict-free manner. In this context we can think back to the Foxconn scandal, which landed Apple in a public relations crisis in 2010. Companies such as Fairphone show that such occurrences are preventable, if we just wish to prevent them. Further examples for increasing orientation towards corporate sustainability and responsibility are “Socially Responsible Investing“ (SRI) and “Impact Investing“ (IMPIN). 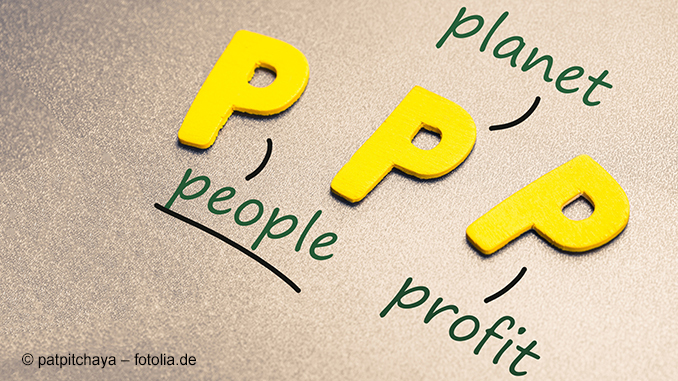 These investment strategies build on investments in those businesses possessing a good balance between their corporate management and responsibility factors (MBS Professors Dr. Christian Schmidkonz and Dr. Wolfgang Zirus examined the concept of Impact Investing in more detail in a blog series). So-called “Social Banks“ are gaining in popularity as well: They award credits transparently and exclusively to organizations whose corporate activities are based on sustainability – an important criterion for many consumers in times of falling levels of trust in banks (and their actors). 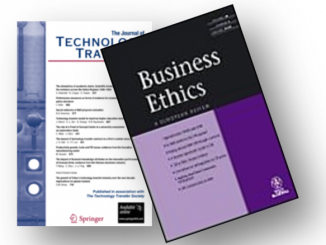 As a modern business school, this means for us: It is not just our role to impart expert business administration knowledge to our students and convey methods to them to successfully apply this knowledge in practice; it is at least equally important to support our students in their development into responsible (business) personalities and to already sensitize them during their education for subjects such as sustainability and social responsibility. Only in this way can they succeed in their future careers – whether as a manager or as a founder – and above all: make a contribution to the world becoming a better place. Logically responsible entrepreneurship is one of the main pillars of the academic education at Munich Business School. 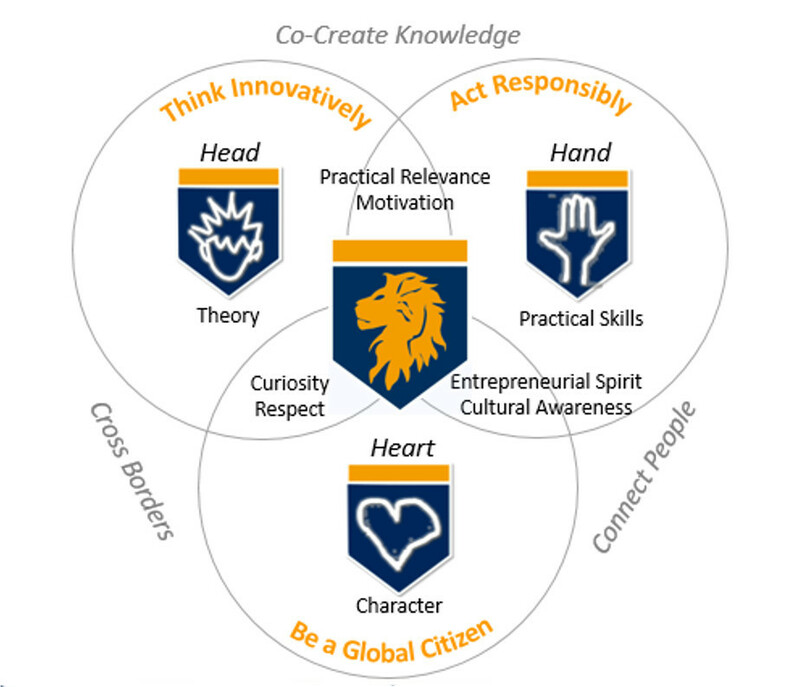 It is a part of our claim (“Innovative – Responsible – Globally Minded“) and of our vision and mission statements, and values (more on this in the blog article “What We Stand for, Where We Are Going: The New Vision, Mission and Values of Munich Business School”).